Lots of eating out this week - no complaints from me. It's a week of seeing friends and enjoying the annual pre-birthday celebration. 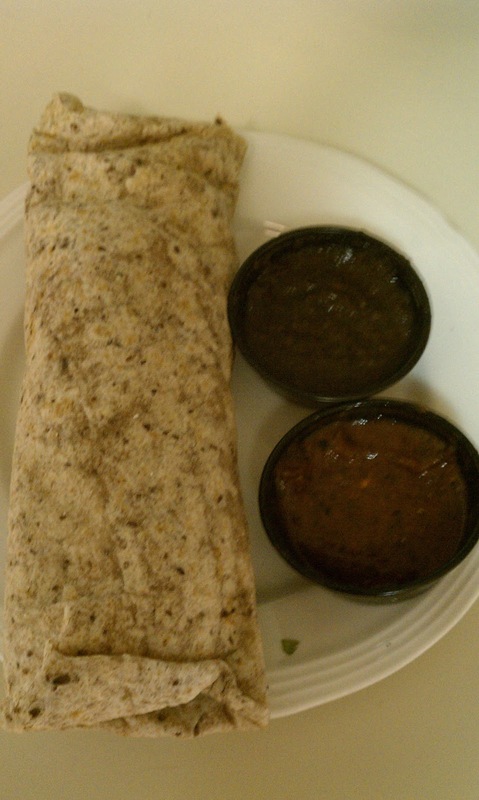 January 17 - Whole grain tortilla on the blackened mahi mahi burrito. My trainer should be proud. 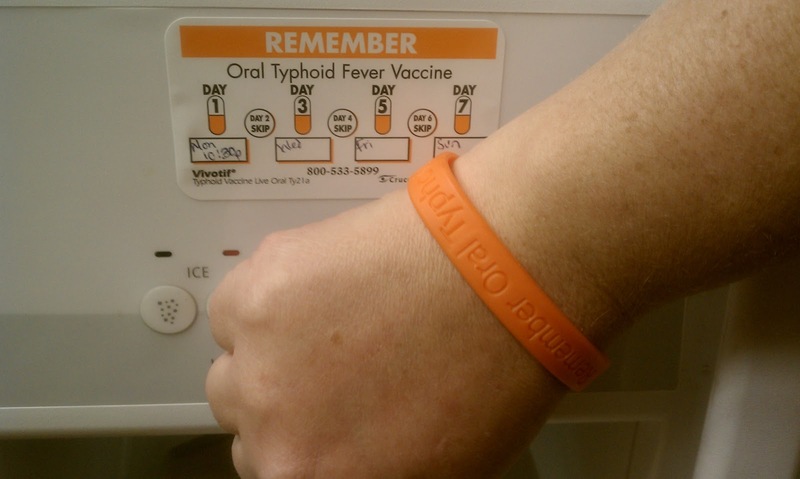 January 17 - My sister has started her typhoid series - we got a complete informational packet including fridge and mirror clings. The highlight is the reminder bracelet. In fact she is rocking it right now in preparation for her Wednesday night at 10:15 dose. 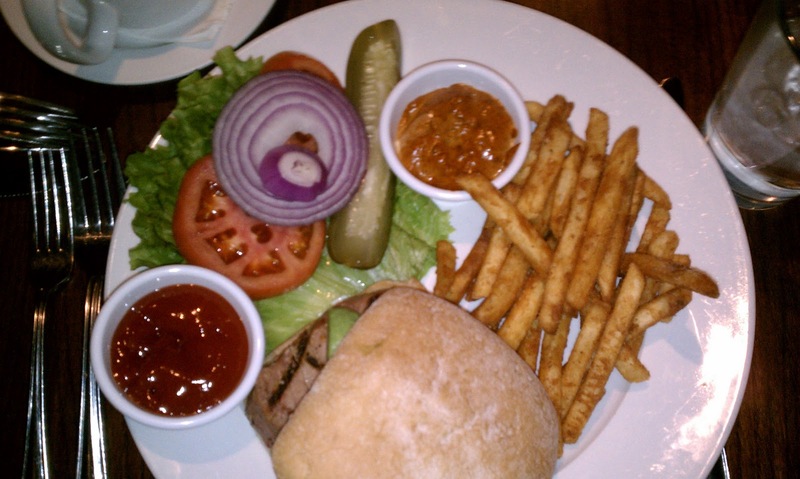 January 18 - Ahi Sandwich at Citron Bistro with two of my favorite people. January 19 - Pre-birthday breakfast at Snooze. 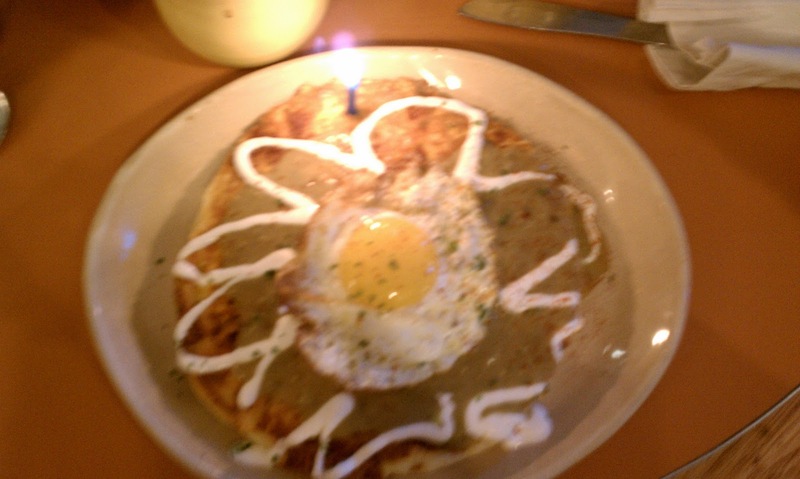 My southwest pancake came complete with a candle! 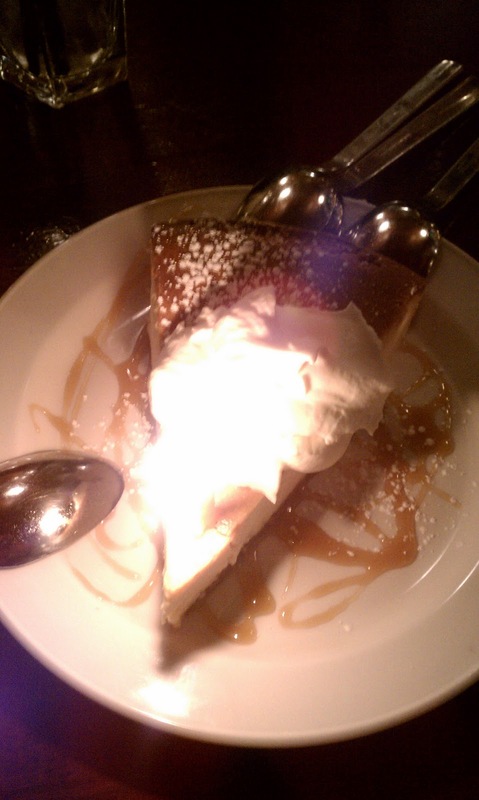 January 19 - Happy Hour at Katie Mullens including my birthday dessert, also with candle, a fantastic Bailey's cheesecake. 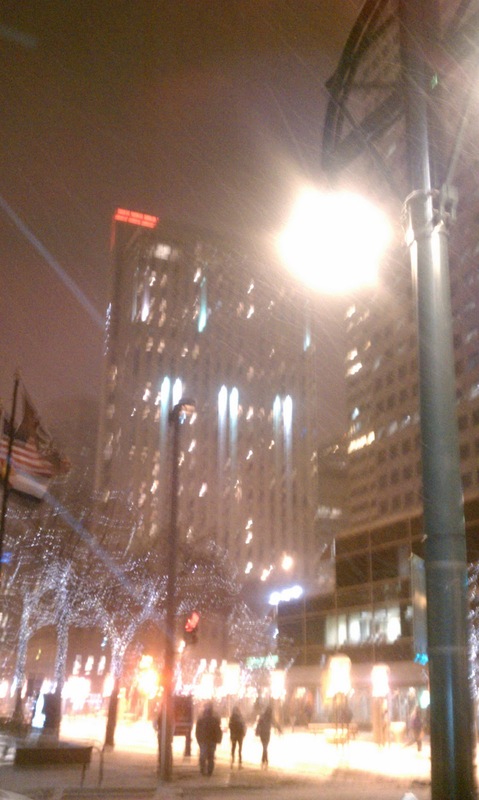 January 19 - The snow that caught everyone off guard. 50 degrees this morning...people weren't thinking coats and hats. Surprise.